The Arcane Blast Trap is a Limited Edition Arcane weapon. This trap uses the conductive properties of onyx to draw magical energy from the world around it. When the trap is activated, the concentrated energy is released in a bright blast, vanquishing mice to another realm. The Arcane Blast Trap is a Limited Edition weapon and can no longer be acquired by Hunters. It was available to purchase for 1,470,000 gold from Ronza's Traveling Shoppe during Ronza's January 2011 visit. It could be refunded for 294,000 gold at the same location. 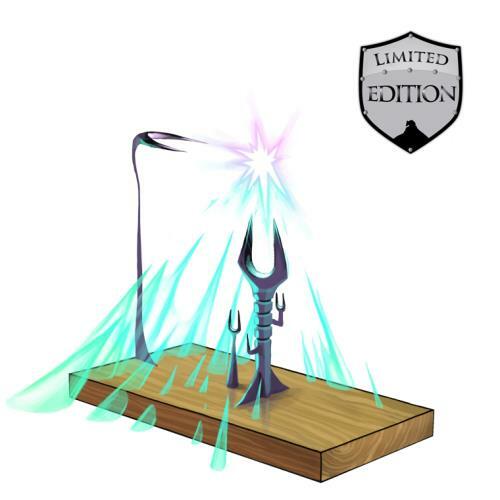 12 January 2011: The Arcane Blast Trap became available for purchase.